In Talented and Gifted, the goal is to provide the students with opportunities to achieve their optimal potential. The students are engaged in experiences that they would not get in the regular education classroom. The students are able to explore with a wide arrangement of technology and hands-on activities. 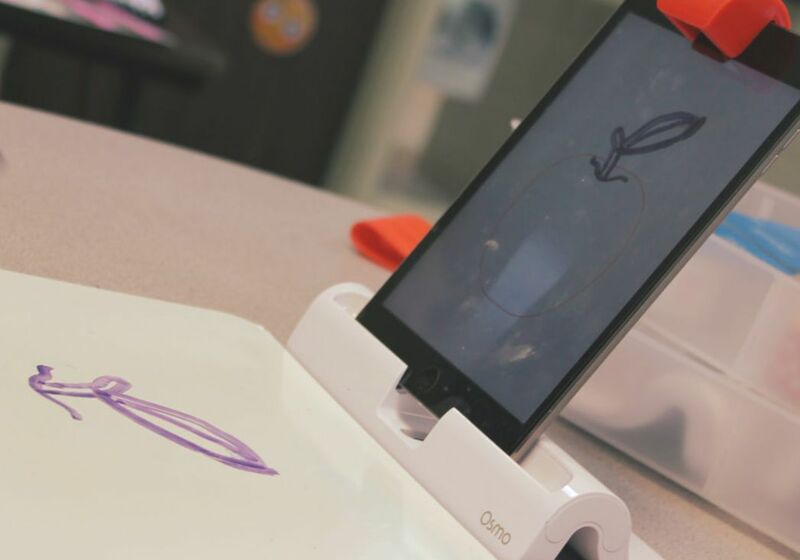 The above picture is of a new technology, Osmo, that is being incorporated into TAG. Osmo is an award-winning game system that will change the way the students interact with the iPad by opening them up to hands-on play. The first part of the year, the Talented and Gifted students worked on the topic of failure. We looked at what does it mean to fail and how does that make us feel. Next, they had to research famous people that have failed and then succeeded. To then stretch their creative aspects of the brain, they created a poster to display their research. Educational enrichment for gifted and talented students will provide opportunities to explore skills, passions, interests and career pathways, while stressing the development of independent and self-directed learners who continuously question, analyze, synthesize, and evaluate information and ideas.